While on my little getaway in Singapore, P and I were feeling a little tired during our mini-marathon around the city area so we decided to look for a place to get a little mid-day bite and caffeine boost. We were actually looking for the Bakerzin outlet (which is on the 2nd floor) but chanced upon the P.S. Cafe (which stands for Project Shop Cafe) on the 3rd level of the Paragon Shopping Centre on Orchard Road. This cafe is a part of the Project Shop/ Blood Bros concept store and looked pretty interesting so we decided to try it out instead (This brand positions themselves to sell basic but high quality casual clothing). We were only there for coffee and dessert but looking at the menu (and other people's food), it seemed that there is a delicious array of food (from light sandwiches and salads to slightly heavier mains), desserts (cakes, muffins, etc) and drinks (coffee, fresh juices and even wine) there. I have to admit : Initially, I was very disappointed when I saw the Banana Cream Pie. "What the... ? It's not even a real pie! ", I thought to myself. "I can't believe I'm paying almost RM30 for a cookie with some sliced bananas, caramel and cream on top! ", I continued to grumble. ... but when you eat it all together, it tastes SO good! Don't get me wrong - it's very nice... but I can't accept that it costs so much. So, it's: Small and cosy cafe which has friendly staff, a good variety of light meals and desserts on the 3rd Floor of the popular upmarket Paragon shopping center BUT Singapore Dollars to Malaysian Ringgit forex tends to hurt the wallets of poor Malaysians like myself! Address: #03-41/44, Paragon Shopping Centre, 290 Orchard Road, Singapore 238859. LOL on yr comment on the Vanity Fair cover - I have that issue and it ain't indecent at all as the lady is covered with a flesh colour top. Heard good things abt PS Cafe's main meals though, my friend was raving abt it. 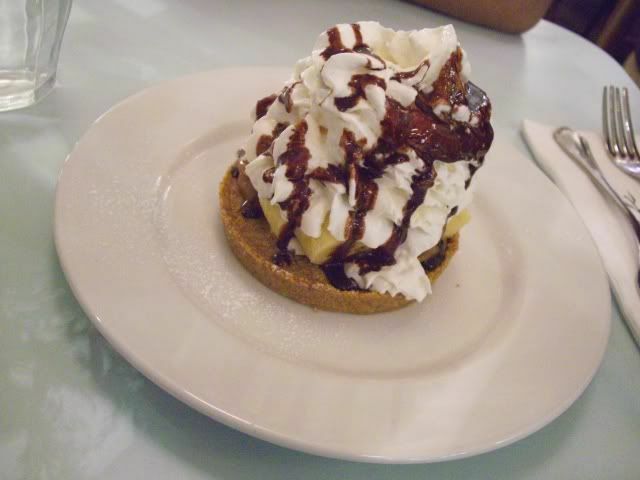 No idea abt the banana cream pie. Reckon u would have better luck at Canele downstairs. Yeah - but she looks very nekkid! I wish I did have more time to explore the gastronomic landscape in Sg... but sadly I only had 3 days and a limited budget as well! Well,... I don't think I want that particular magazine but there was one men's fitness magazine next to it that looked interesting. I had many 2nd thoughts when I was shopping too! 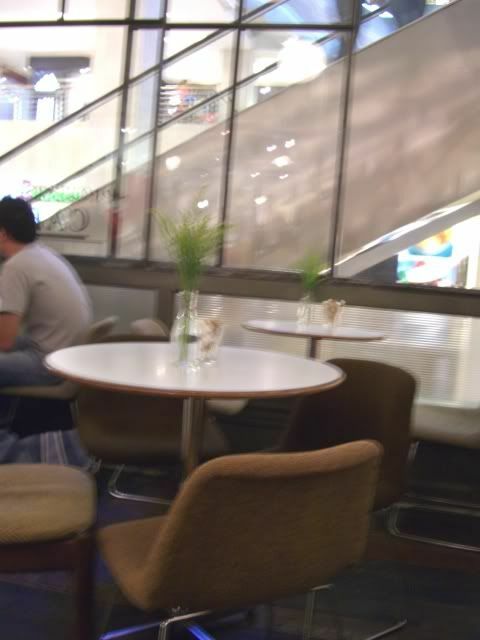 I think I would have fainted if I saw such a pair of ppl in the cafe! Yeah, the cafe was nice - unfortunately I didn't have enough time, money or space in my tummy to try more of the food there.